This rug shed quite a bit at first, but stopped after a few washings. Like it so I ordered the matching contour rug. The rug fluffs nicely and has kept the color. It is just what I was looking for. These bath mats are highly durable and absorb water quickly. They feel very soft and comfortable to your feet and give a contemporary look to your bathroom. They are an ideal product for daily use. 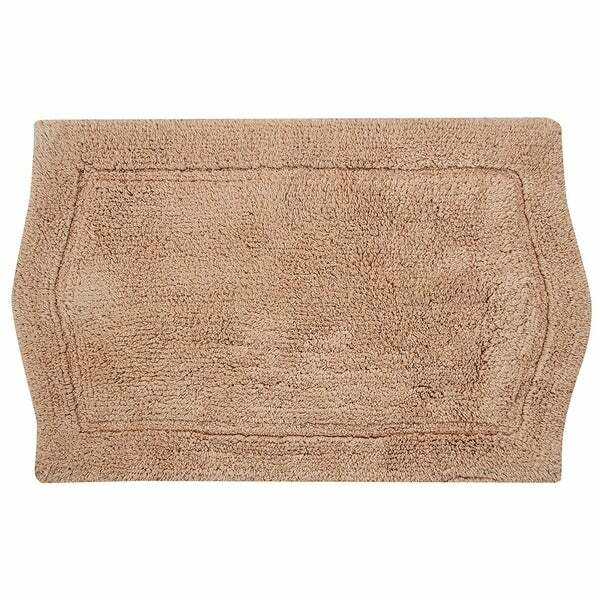 Made of pure good quality cotton, these durable bathmats are available in a variety of colors. The off-rectangle shape is sure to accent any bathroom. Dimensions 22.0 In. X 18.0 In. X 1.0 In. I wanted some inexpensive bathroom rugs so I could switch them out and wash them more frequently. These are perfect for my small bathroom and are very absorbent, wash easy and have no rubber backing to disintegrate like many rugs. It does have some rubber coating with the backing to make it slip resistant. The color is true to the picture. This rug is soft pile and has a non-slid backing. The rug did not hold its shape well after several washings. Non skid, lay flat and wash and dry nicely. I placed this order twice and both times it was incorrect. I decided just not order it again. They could not get the color right. Fabric Fall apart like crazy when you wash it! Omg! Quality is good, but wish the color was less tan and more beige. Different shape and variety of sizes and colors. This color works best with my shower curtain. I needed a third rug to go with the other 2 that I ordered. I love this one for basically the same reasons, the curved ends, and the blue color I ordered. It's different from the ordinary rectangular bath mats, and it is cotton.